Shopitize App Review: Is This App Dead? 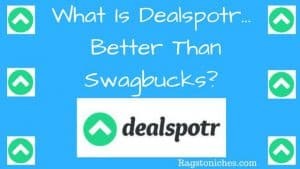 Last updated on January 3, 2019 By Nat Leave a Comment This post may contain affiliate links. We appreciate you supporting Rags To Niches! Full disclosure here. What Is Unique Rewards: A Scam Or Legit? Last updated on February 26, 2018 By Nat Leave a Comment This post may contain affiliate links. We appreciate you supporting Rags To Niches! Full disclosure here. 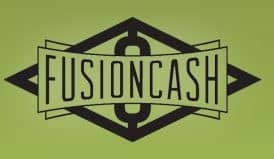 Is Fusion Cash A Scam, Legit? Or Waste Of Time? Last updated on July 16, 2018 By Nat Leave a Comment This post may contain affiliate links. We appreciate you supporting Rags To Niches! Full disclosure here. 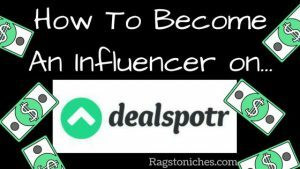 How To: Become An Influencer On Dealspotr! Last updated on July 20, 2017 By Nat 6 Comments This post may contain affiliate links. We appreciate you supporting Rags To Niches! Full disclosure here.